Jimmy Fallon surprised the Team USA snowboarder with a giant version of the cereal box. Olympic gold medalist Chloe Kim is the youngest snowboarder to ever medal at the games. 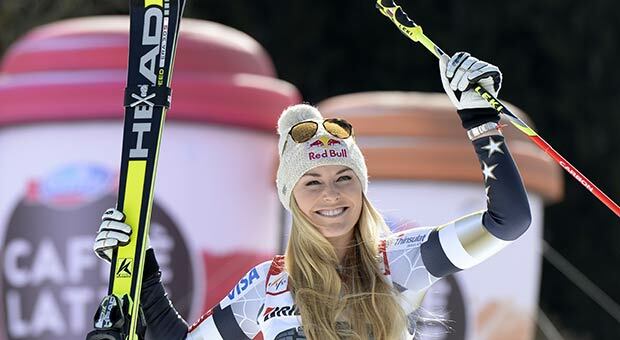 She loves churros, she craves ice cream, and she’s on the cover of Sport’s Illustrated with her dog, Reese. If you aren’t absolutely, head-over-heels in love with the Winter Olympics' breakout star, then you better start loving her, because Chloe Kim is the future. She’s unlocked yet another achievement that will ensure she goes down in history: Kim is now the cover girl for the Gold Medal Edition of Kellogg’s Corn Flakes. Kim recently appeared on an episode of The Tonight Show, in which she and Jimmy Fallon surprised Olympic fans by photo-bombing them—and they are honestly just as excited to meet Kim as they are to meet Fallon. Later, the talk show host asked her if she had ever aspired to have her face on the front of a cereal box, to which she replied with a very chill, “I’m down.” Fallon then unveiled a giant version of the Corn Flakes box. A more manageable-sized box that can fit in your pantry is now available from at kelloggsfamilyrewards.com. “It is so crazy to see myself on a box of Kellogg's cereal," Kim later said in the statement from the cereal company. 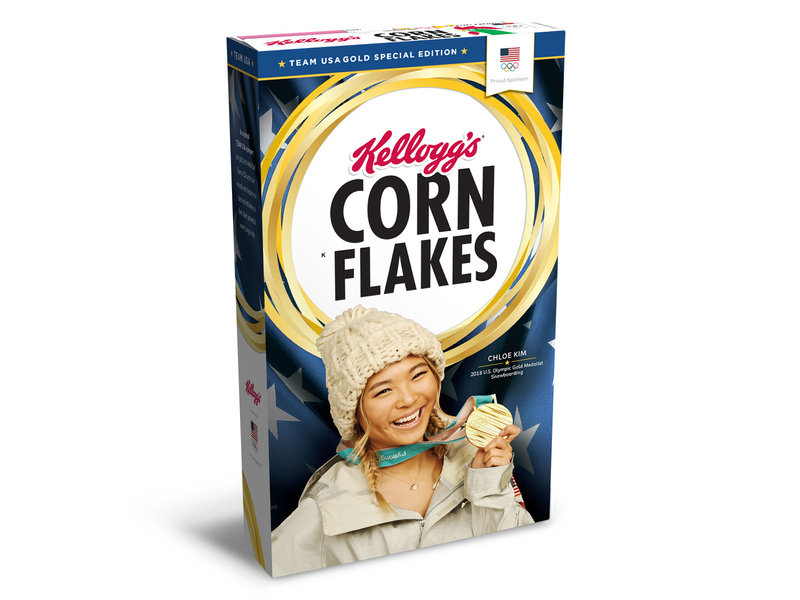 "Winning a Gold Medal is a dream come true and commemorating it with a Gold Medal Edition Corn Flakes box makes it even more special. This is all so exciting!" Kim rise to America’s sweetheart-status has been meteoric, but she still seems like a goofy teenager (just check out the weird poses she comes up with while photobombing her fans) who is still processing what her win means. She told Fallon that when she first won her gold medal she felt “empty,” as though she couldn’t feel any emotions. But when she finally gets to see her Kellogg’s box, she practically bursts with bubbly, excited energy. It’s been a pleasure to watch Kim become the hero America needs right now, and I hope this isn’t the last we’ll see of her charming presence on our television screens and cereal boxes.